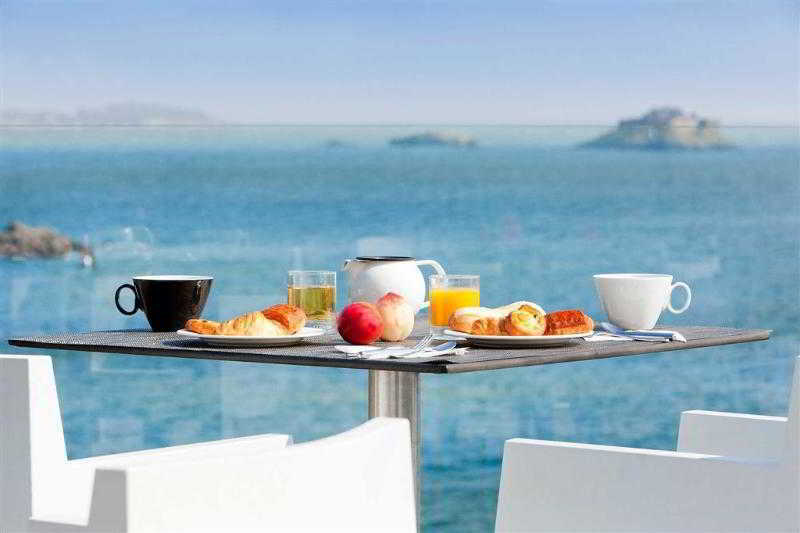 Find huge deals in St Malo, France that you may book now & pay later! 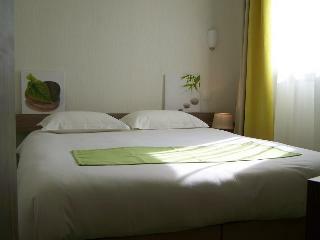 Best prices for in St Malo, France. A dream vacation for you and your family, guaranteed by our travel consultants. For members-only deals, we recommend using the new filter for deals in St Malo, France. 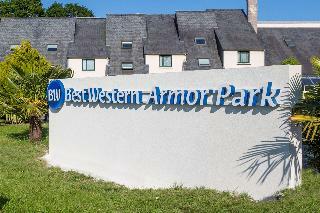 This 3 star hotel is located in the suburbs of St Malo and was established in 1987. 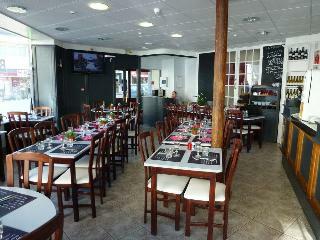 It is a short drive away from the Old City and the nearest station is Gare SNCF Saint Malo. The Hotel has a restaurant, a bar and a conference room. 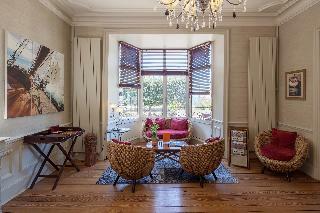 All 83 rooms are equipped with hairdryer and air conditioning. 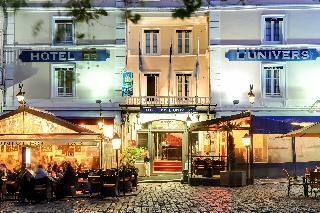 This 3 star hotel is located in the city centre of St Malo and was established in 1947. 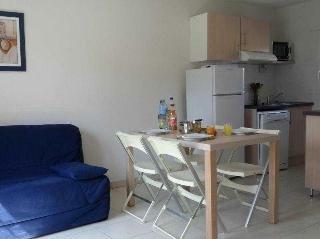 It is close to the City Centre and the nearest station is Gare de St Malo. The Hotel has a restaurant and a bar. 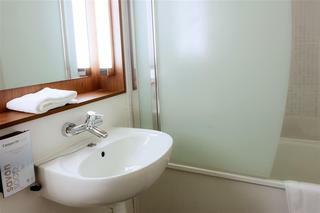 All 50 rooms are equipped with hairdryer and ironing set. 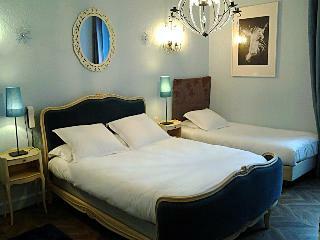 This 4 star hotel is located in the city centre of St Malo and was established in 1982. It is close to the Old Town and the nearest station is Gare de Saint-Malo. The Hotel has a restaurant, a bar, a conference room and a fitness centre/gym. All 78 rooms are equipped with minibar, hairdryer, safe, ironing set and air conditioning. 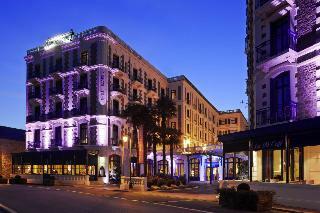 This 3 star hotel is located within the city of St Malo and was established in 1900. 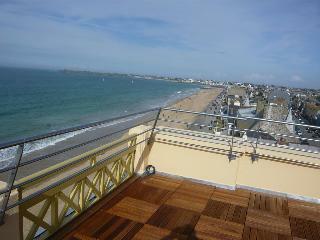 It is a short drive away from the Old town and the nearest station is St Malo. The Hotel has a restaurant. 20-min walk from the train station, the Mercure St Malo Front de Mer hotel is located near the so-called citÃ© corsaire (known for its history of privateering), vast Sillon beach and the Thalasso center. 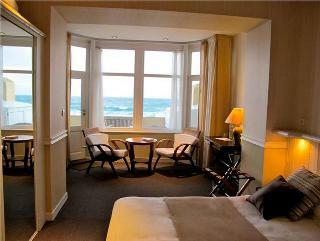 This hotel offers rooms with views over the sea equipped for working in complete tranquility. Some are also designed for families. For relaxation, treat yourself to a trip by boat to Guernsey. 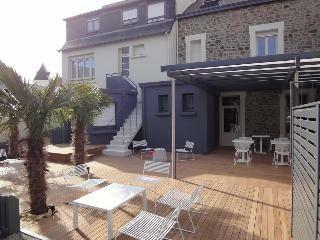 This completely refurbished 4-floor residence with lift is located to the south of Saint-Malo, in the Saint-Servan district in the heart of an enclosed garden with trees and flowers. Shops (100 m). The plage des Bas Sablons, the nearest beach, is 300 m away, and the best beaches are 1.5 km away. St Servan shops are 400 m away. Daily markets in the different districts of St Malo. 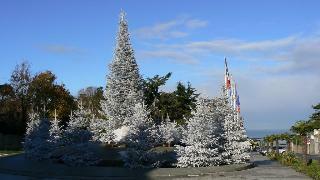 In the Saint-Servan district on Tuesdays and Fridays and in Cancale on Sundays. 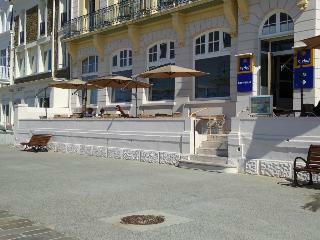 Hotel Ambassadeurs Situated in Saint Malo, the Hotel Ambassadeurs provides 2x000D star accommodation. 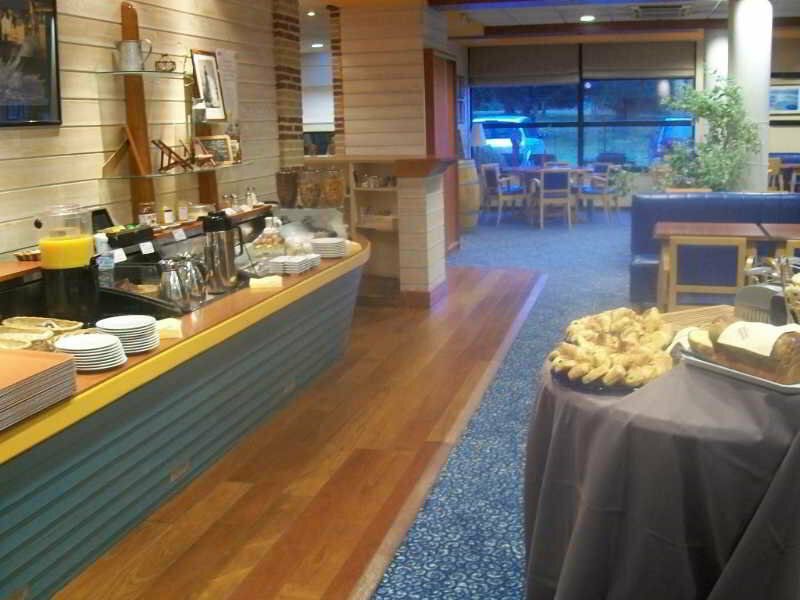 The hotel offers restaurant facilities. Room Features Hotel Ambassadeurs. There is a no smoking policy throughout the hotel. Spa Hotel in Saint Malo Situated at the gates of the city of Saint Malo... The Spa Hotel La Malouinière in Saint Malo offers accommodation in hotel rooms, gîtes This 18th century building is ideal for your holiday in Saint Malo. 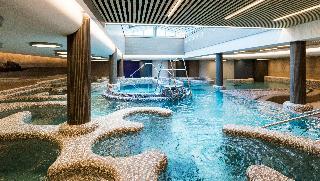 It boasts a spa, swimming pool and sports ground. Overlooking the main beach and the Bay of Saint-Malo, the Beaufort was one of the first hotels built on the seaside promenade, La Digue. 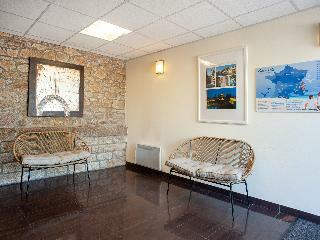 You will be close to the Walled City, Intra-Muros, and the Thalassotherapy Sea Spa, the Thermes Marins. 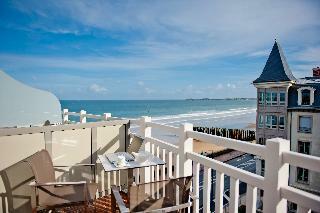 The Hotel Beaufort has 22 rooms total, 14 with sea view. 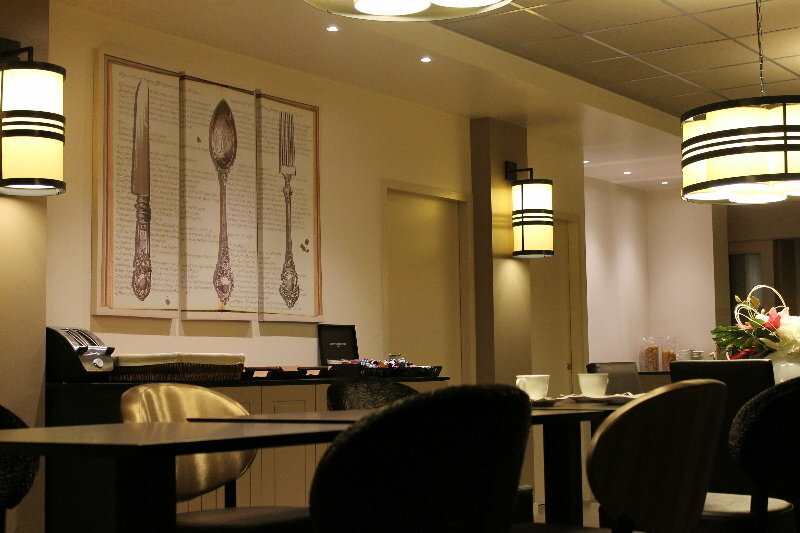 Relax in our attractive lounge, while enjoying the panoramic view of the Bay of Saint-Malo. Discover the ambiance and comfort of hotel rooms and apartments in the heart of Dinan. Modern and welcoming, the 22 rooms of the hotel bring you all the comfort and offer a spacious living area and very pleasant. The relaxation area is located on 100 m² dedicated to relaxation. 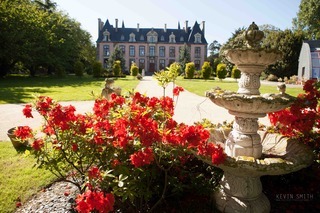 From our 3-star hotel in Dinan, discover Upper Brittany and Pays de Rance, Mont Saint Michel, Saint Malo, Cancale, Dinard. 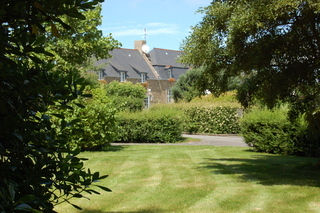 Hotel Des Alleux The 2x000D star Hotel Des Alleux is situated in Dinan. 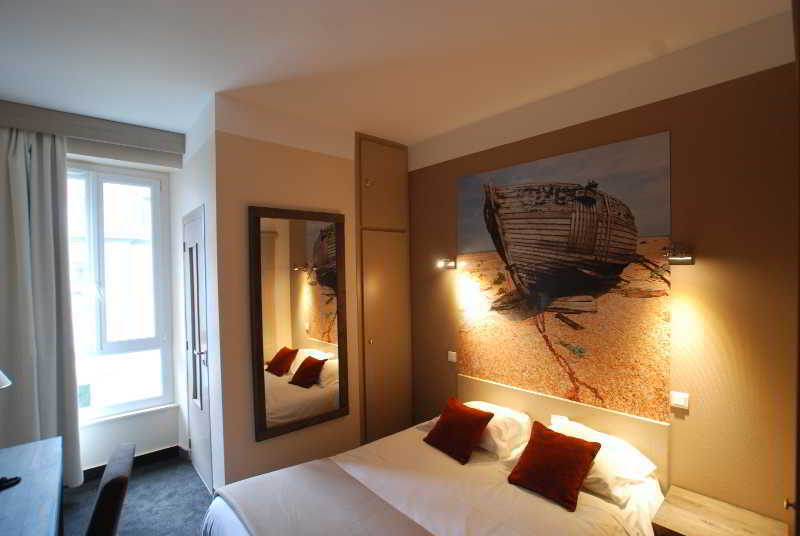 Situated in Saint malo, at only 40 meters from the beach, the 4* Hotel La Villefromoy provides luxurious accommodation. 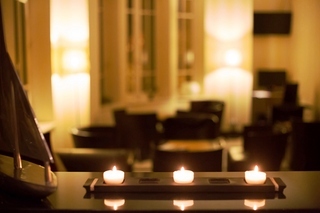 Discover the hotel lounge bar of this cosy boutique-hotel! On site car parking is available. Smoking is not permitted in either the bedrooms or the public areas of the hotel. Free Wifi internet access is available in all rooms. Brit Hotel Le Transat Welcome to the 3x000D star rated Brit Hotel Le Transat in Saint Malo. The hotel offers on site car parking. 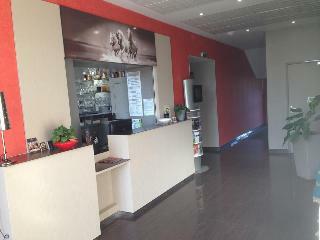 The hotel offers restaurant facilities. Rooms at the Brit Hotel Le Transat. Smoking in certain bedrooms is allowed, as well as in public areas of the hotel. Please specify when booking if you require smoking. Wifi internet access is available in all rooms. Hotel De La Tour De L'horloge The 2x000D star Hotel De La Tour De L'horloge is situated in Dinan. Guests can dine at the hotel restaurant. Room Facilities Hotel De La Tour De L'horloge. Smoking is permitted in certain bedrooms (please specify when booking) and the public areas of the hotel. 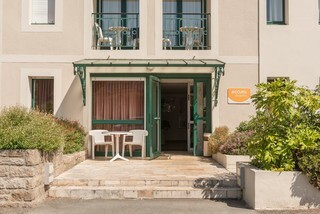 La Rotonde is a Hotel - Restaurant with full board in Saint-Malo boasts a convenient location as it is located just 50m from the sea The hotel has been completely renovated in March 2011. To ensure a pleasant stay, the Rotunda offers 14 comfortable rooms (some with sea view) and a cozy restaurant in which a young and dynamic team offers traditional cuisine.